When purchasing new pieces of furniture for your home or office space, it is always advisable to buy a custom-made one rather than those that are mass produced. Custom timber furniture may be a bit expensive, but in the long run, you might find them to be the most affordable option since they are in a better position to give your space the beautiful and unique look you want. As a buyer, you can buy an uncommon piece that cannot be easily duplicated by any other person. In most instances, custom-made pieces of furniture are known to stand out even if there are chances of getting similar products in the market. When you visit a local craftsman to build a customised furniture, you are likely to find that they try as much as possible to meet your particular taste and preference. By doing so, they satisfy their customers’ needs, thus attracting more clients. They will use the finest wood and other materials to make the piece superior to mass-produced furniture which is made from typical plywood as well as warped lumber. Nowadays, most custom-made furniture is made from Blackwood or Jarrah, among others. Such timbers are known to produce unique smells as well as colour that will be perfect when constructing your furniture. 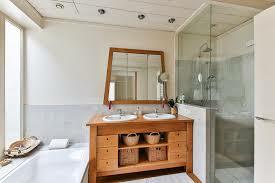 You can also choose to use pine which is much affordable can be stained in different shades. Are you looking forward to getting something unique that is not found in other furniture outlets? Well, worry no more. Custom-made furniture is the best option you might be looking for. You have the freedom to choose your design style as well as material to be used. Custom-made pieces of furniture can last for a much longer period since high-quality materials are used in their construction. By doing so, it saves you a lot of money that would otherwise be used to do regular repairs. Custom timber furniture can greatly improve the look of your home or office as well as add value to it. In case you are planning to sell the property in the future, such pieces can fetch you a reasonable amount of money. You just need to call a local artisan and have the project started. Be smart! Invest in a high-quality piece that will be able to serve you for an extended period.